With some of the best backcountry terrain in North America, the Tetons offer a lifetime of opportunity to ski and snowboard in one of the most spectacular places on earth. Learning to negotiate the backcountry takes years of dedication and practice; Jackson Hole Mountain Guides offers avalanche courses and clinics to help you begin and refine your avalanche safety knowledge and make you a safer, more competent back country adventurer. We highly encourage every backcountry user to take a Level 1 or 2 AIARE Avalanche Education Course and to follow up with yearly practice, so you enjoy a long lifetime of rewarding backcountry experiences. Along with our AIARE Courses, we offer a number of clinics and opportunities that get you into the mountains to put your back country skills to work! For information on Level 2 AIARE Avalanche Education, click here. Our AIARE Level 1 Courses are designed for people looking to build a foundation for safe Backcountry travel. This comprehensive 3-day course focuses on hazard evaluation, decision-making and companion rescue in avalanche terrain. One full field day is devoted to slope evaluation, route finding, and risk management. These courses include proper instruction for basic safety and protocols for safe backcountry travel. 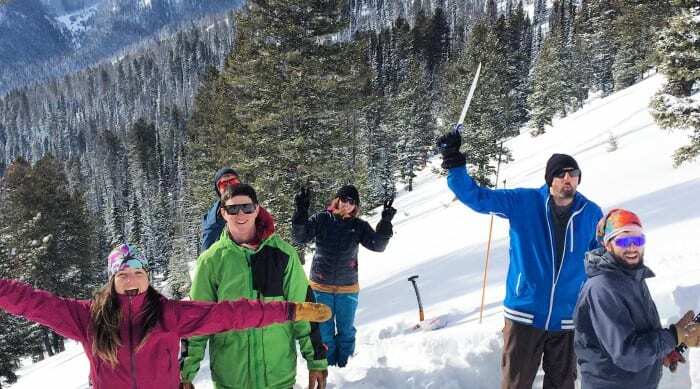 Over the 3-days you will learn the skills and tools needed to navigate the winter mountains and evaluate the snowpack when traveling through avalanche terrain. Our 4-day AIARE Level 1 Courses are designed for locals who work or visitors who want to spend the day skiing. In this extended itinerary, we will spend Thursday and Friday nights in the classroom from 6-9 and spend Saturday and Sunday in the field practicing what we have learned. This comprehensive 4-day course focuses on hazard evaluation, decision-making and companion rescue in avalanche terrain. One full field day is devoted to slope evaluation, route finding, and risk management. These courses include proper instruction for basic safety and protocols for safe backcountry travel. Over the 4-days you will learn the skills and tools needed to navigate the winter mountains and evaluate the snowpack when traveling through avalanche terrain. Prerequisites for touring during our Avalanche Courses: For the field component of these courses, you must have appropriate alpine touring (AT), telemark or split-board equipment. All touring gear is available for rent from JHMG. You DO NOT need to be an advanced skier or boarder, but you should be able to ascend moderate slopes using skins and descend downhill effectively in a variety of snow conditions. Other required gear (pack, transceiver, probe, shovel) is available for rent from JHMG. Please call ahead for availability. Or rent it when you book! Socks: Synthetic or wool. Sized for your boots and blister protection. Liners recommended. Water & Food: Thermos or insulated water bottles are best. Lot’s of snacks. JHMG knows there stuff! My instructors provided a wealth of knowledge for us to learn from and an awesome attitude that kept everyone stoked. Knowledgable instructors and in a setting that inspires. I learned a lot during my course and look forward to putting my new knowledge to use exploring on snow in the Tetons and beyond. Very professional! Excellent instructors with a wealth of knowledge and most importantly, they know how to facilitate growth of one’s mountain sense. Very professional! 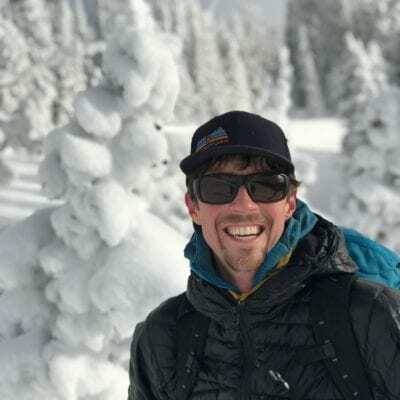 Brian and Erica are wonderful guides, excellent instructors with a wealth of knowledge and most importantly, know how to facilitate growth of one’s mountain sense. As the signature sponsor of our AIARE Level 1 and Level 2 courses, all students enrolled will be able to test and demo all Mammut safety equipment for the duration of their course for no charge. Students who elect to take advantage of this program will be expected to fill out a review of the equipment they demo. Once submitted, they will receive a discount code for %15 off any full-priced Mammut airbag, beacon, shovel or probe.